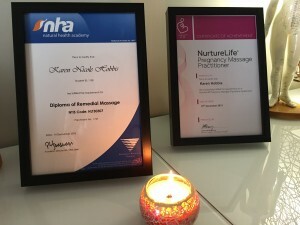 I am a qualified Remedial Massage Therapist and Specialised Pregnancy Massage Practitioner. 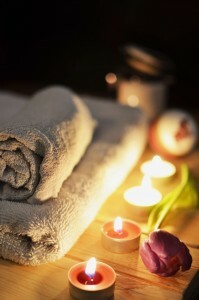 I combine traditional and modern techniques to treat sources of pain, energy imbalances, and to encourage the body’s own natural healing abilities. 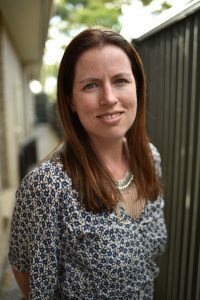 In recent years I have had significant experience providing massage services for both pregnant and postnatal women, and have had significant success treating lower back pain, pelvic and hip pain, and headaches that are a common part of pregnancy, as well as providing a deep sense of relaxation. I assist my clients to improve their physical and emotional wellbeing through a reduction in chronic pain and dysfunction in their body, the reduction of stress and an improved quality of life. My home-based clinic is conveniently based in the seaside suburb of Seacliff, South Australia. Parking is available on the street or you are very welcome to park your car in the driveway. If you are travelling from Adelaide, or anywhere along the Seaford train line, my clinic is a short walk from the Seacliff train station. Bus services are available along Brighton Road or Kauri Parade.